Home » Cruises » Is a Danube River Cruise Right for You? Travelers are enjoying river cruises in record numbers, making it one of the hottest trends in travel. The Danube River, Europe’s second-longest river, flows through ten countries: Germany, Austria, Slovakia, Hungary, Croatia, Serbia, Romania, Bulgaria, Moldova, and Ukraine. Explorers who want to be exposed to a wide range of cultures, languages, and experiences will soak up the sites along this sprawling waterway. The Danube also boasts an interesting blend of urban and rural sites. Those who appreciate dramatic natural scenes and also delight in the bustle of the world’s great cities will see the best of both worlds as they cruise down this mighty European river. May through September is prime cruising season. Springtime in Europe can be rather wet, and there’s often still a chill in the air. The spring months can lead to flooding on parts of the Danube. If the water gets too high, riverboats aren’t able to pass under narrow bridges or through certain locks. In those cases, river cruise lines often transport passengers to sites by bus. The summer months can be hot and crowded in central Europe, but you have longer daylight hours to sightsee. If the summer is extremely warm and there’s not enough water to sail safety, river cruise lines will again transport passengers to sites by bus. The nights are shorter and the temperatures are lower, but fall is an ideal time to visit. Water levels have generally straightened out, the crowds are gone, the fares are cheaper, and the weather is comfortable. 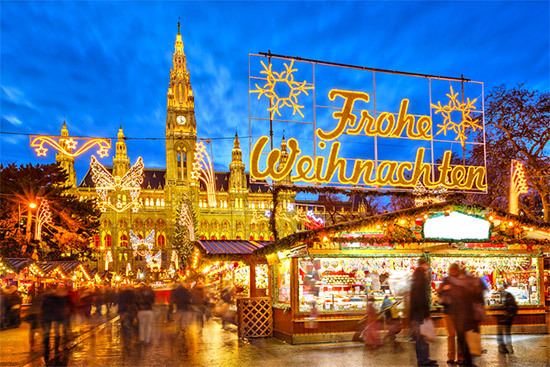 Christmas markets in the cities along the Danube make a cruise at this time of year magical. What Kind of River Cruise Should I Choose? Nearly every river cruise line sails on the Danube. It’s one of the most popular river cruise itineraries and an ideal one if you’re new to river cruising. One of the best parts of taking a river cruise is the up-close access you have to port cities. You can opt to take a shore excursion through your ship or explore on your own. Depending on your ship’s schedule, you might even do a combination of both, especially if your ship stays overnight in a city. If you’re limited by time or budget, a shorter cruise may be right for you. 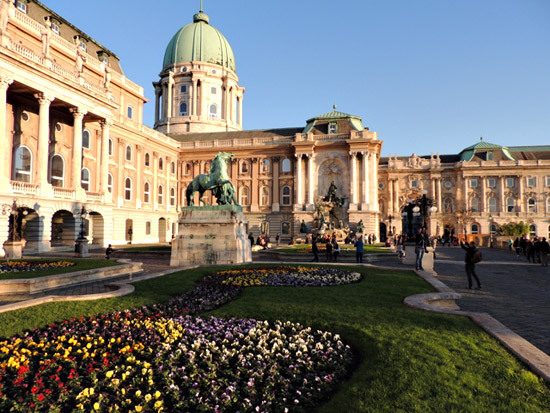 Avalon Waterways runs a three-night cruise from Budapest, Hungary to Vienna, Austria. You’ll come to Bratislava, the capital of Slovakia, a dynamic city that lies at the foothills of the Carpathian Mountains. In Dürnstein, a town situated among terraced vineyards, visit the ruins of the Dürnstein Castle. And in Melk, you will visit Austria’s majestic Benedictine Abbey, one of Europe’s largest monasteries. Sitting high on a bluff, it offers the most breathtaking views of the city, the Danube River, and the Austrian countryside. Seven-night cruises usually run from Nuremberg (after an overnight onboard) to Budapest. 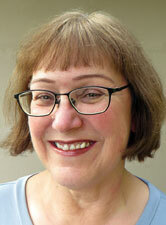 Port cities include Passau and Regensburg, Germany, and Melk and Vienna, Austria. Tauck offers an idyllic 8-day trip featuring a 7-night Vienna to Munich river cruise featuring dramatic river landscapes, fairy-tale castles, Roman ruins, and romantic villages. If you want to spend more time on the Danube, you can find cruises that last anywhere from eight to 16 days, giving you a more extensive lineup of port calls. Some cruise lines offer almost monthlong journeys that encompass not only the Danube but also the Main and Rhine rivers, allowing you to sail all the way from Bucharest, Romania, to Amsterdam. Rivera River Cruises features an 11-day Danube cruise that includes a guided tour of Vienna, a cruise through the scenic Wachau, Austria’s premier wine region, tour of Salzburg, birthplace of Mozart and one of Austria’s most beautiful cities, and a visit of the Royal Palace and gardens at Gödöllo, former summer residence of the Hapsburgs. Europeans do Christmas markets better than anybody else, which might be why these cruises are so popular. (Prices are often lower during this time, too.) On these river cruises you’ll surely get your fill of old-world Christmas and maybe create new traditions with your family. These cruises sail in November and December and book fast, so plan early. 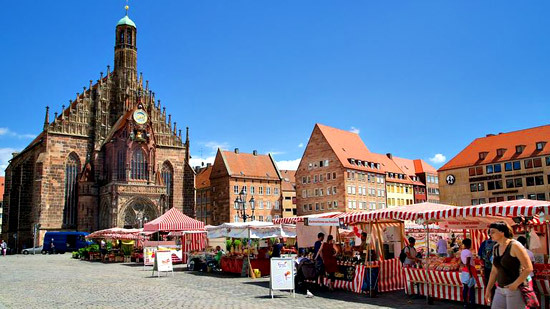 Popular attractions at the centuries-old city of Nuremberg include the Durer House, where artist Albrecht Durer lived from 1509 until his death in 1528; the Toy Museum; the Gothic Church of the Lady with its famous clock; and Market Square. Regensburg is one of Germany’s most well-preserved cities as well as a UNESCO World Heritage Site. 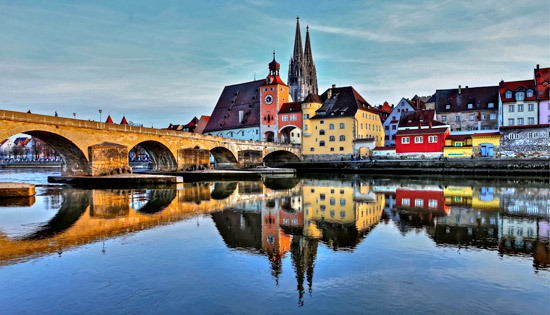 Its most famous structure is the Old Stone Bridge, which was built between 1135 and 1146 and connects Stadtamhof, a district of Regensburg, to Regensburg’s Old Town. Other highlights are the numerous towers, which adorn houses built by wealthy families in the 13th and 14th centuries. Called the “City of Three Rivers,” Passau lies at the junction of the Danube, Ilz, and Inn rivers. You can find Europe’s largest church organ — with its 17,974 pipes and 233 stops — in St. Stephen’s Cathedral. Concerts are held at noon daily, May-October (except Sundays and holidays). Another impressive structure is the Veste Oberhaus, a fortress that was built in 1219 and overlooks the city. 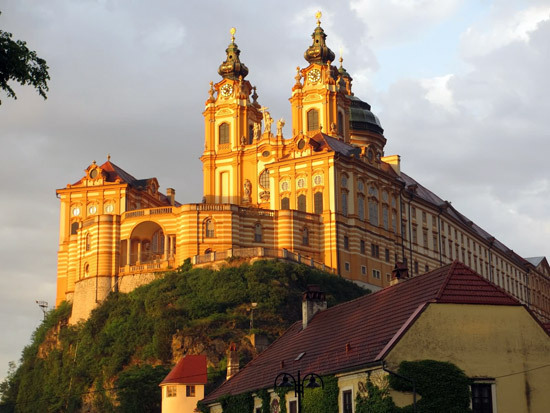 High atop the cliffs of Melk lies the baroque Melk Abbey. A tour of the monastery is a must, and you’ll see an impressive library with nearly 100,000 volumes of manuscripts and books, relics, works of art and ceiling frescoes. One of Europe’s most romantic cities offers, Vienna is rich not only in music but also in art. The Ringstrasse, a pedestrian-friendly historic city center and designated UNESCO World Heritage Site, it houses such monumental buildings as the Vienna State Opera, Parliament and Museum of Fine Arts. St. Stephen’s Cathedral, a Gothic structure built in the 12th century, and the Hofburg Imperial Palace, center of the Habsburg empire, are other noteworthy attractions. Vienna is also known for some of Europe’s most famous coffee houses. The Danube divide’s Hungary’s capital in two sections, Buda and Pest, which used to be connected only by ferry. They’re quite different in appearance and geography: the hilly Buda side features historic buildings like the Castle Palace, Matthias Church, and the Fisherman’s Bastion; Pest, which lies on the flat side, has a more modern feel. The Parliament, Central Market Hall, St. Stephen’s Basilica, and Andrassy Avenue are located there.